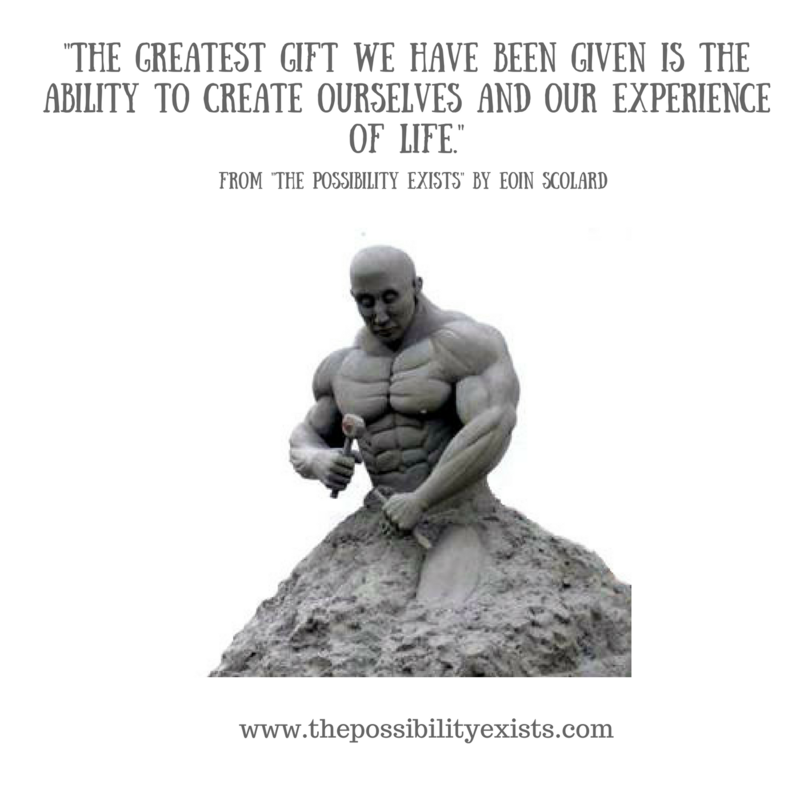 The greatest gift we have been given, though, is the ability to create ourselves and our experience of life. So I give you a challenge. The challenge is to open up to that possibility, that you can create your outward experience of life by looking into your inner life. 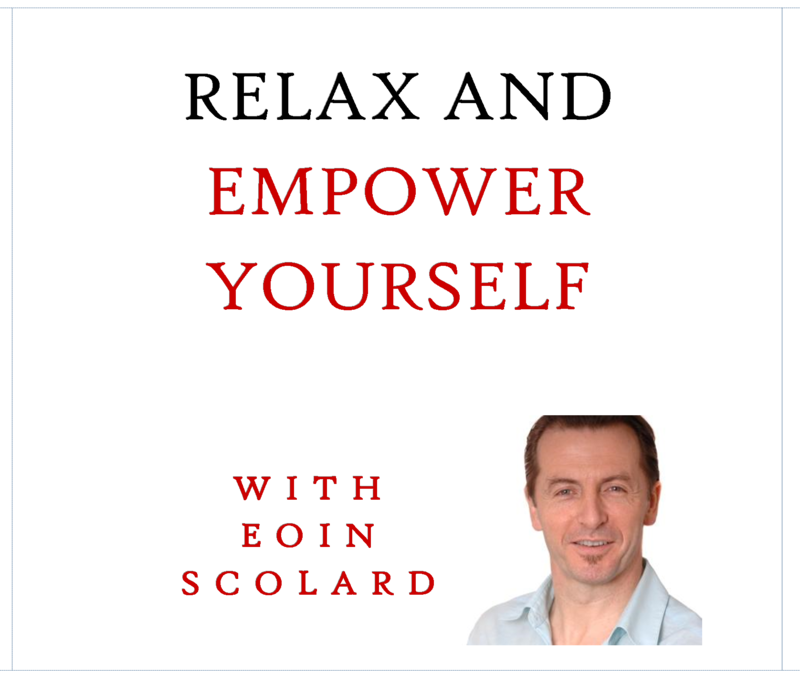 You’ve got to stop resisting this unstoppable force which actually wants you to co-operate with change. 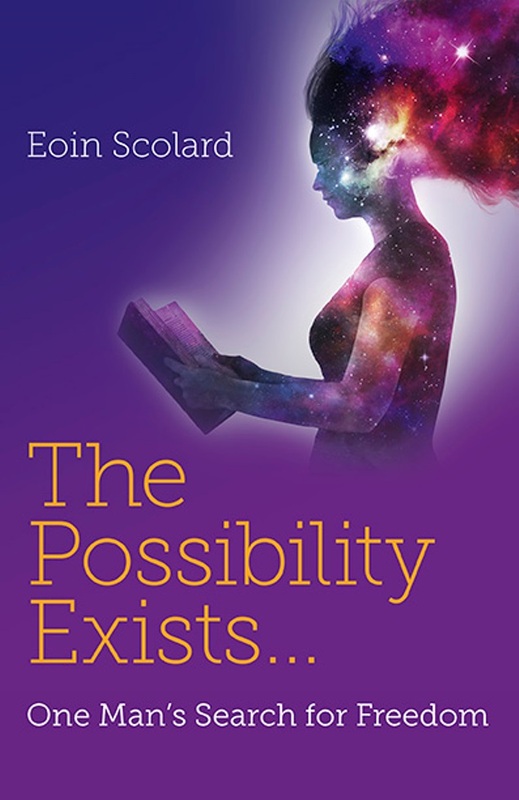 Open yourself up to the possibility of co-operating with the very Intelligence that underlies everything, the space that allows all things to be. 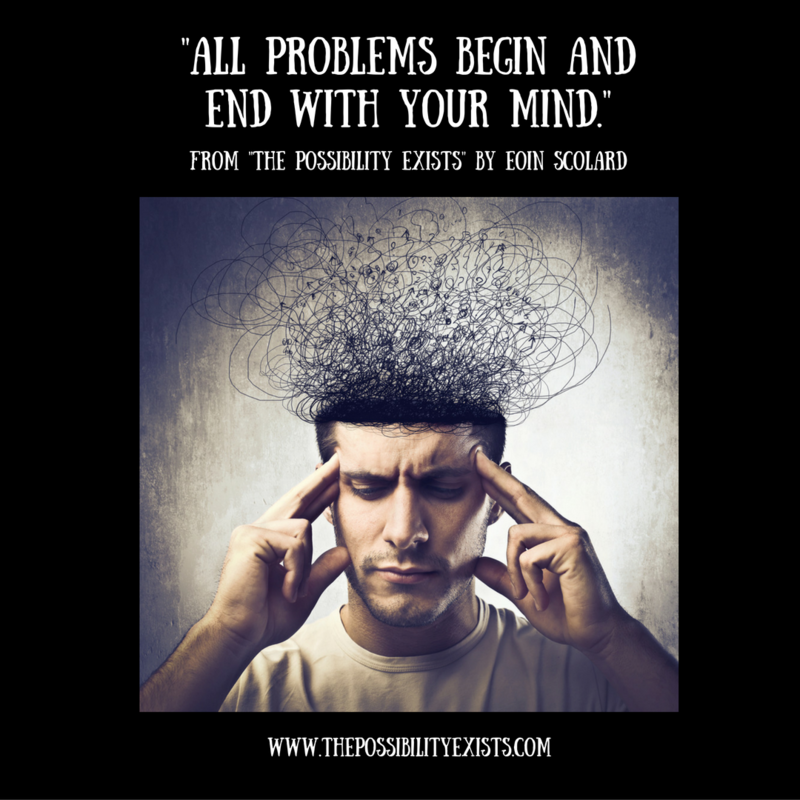 As you do, you will realise that all possibilities do exist. 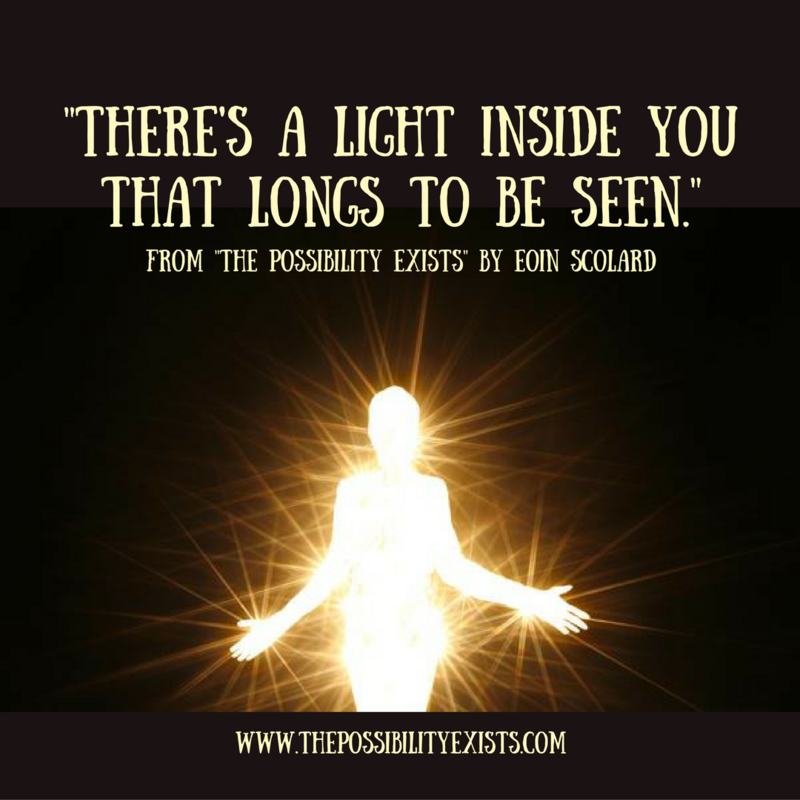 To put it another way, there's a light inside you that longs to be seen. First you've got to open to the possibility that what I'm saying is true. Then you continue your normal everyday life while watching everything that gets in the way of that deeper essence. Something radical begins to happen. You're chipping away now, like Michelangelo, using all the material in your life, because you know that there's treasure underneath. One day you will find it, and, I promise you, your life will never be the same again. 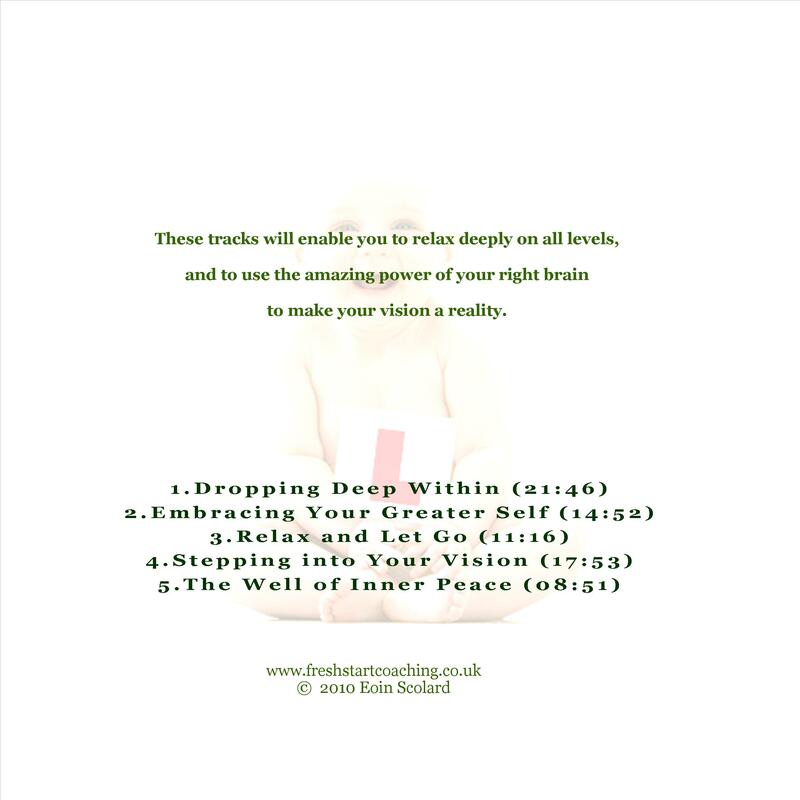 This treasure was likened to “the pearl of great price” - – something that, once you find it, is worth more than all your earthly possessions. While you may still enjoy all that the earth has to offer ( and please do! ), you realize the utter insignificance of ‘stuff’ in the face of this pearl that you've found. You've come home - and you finally belong. 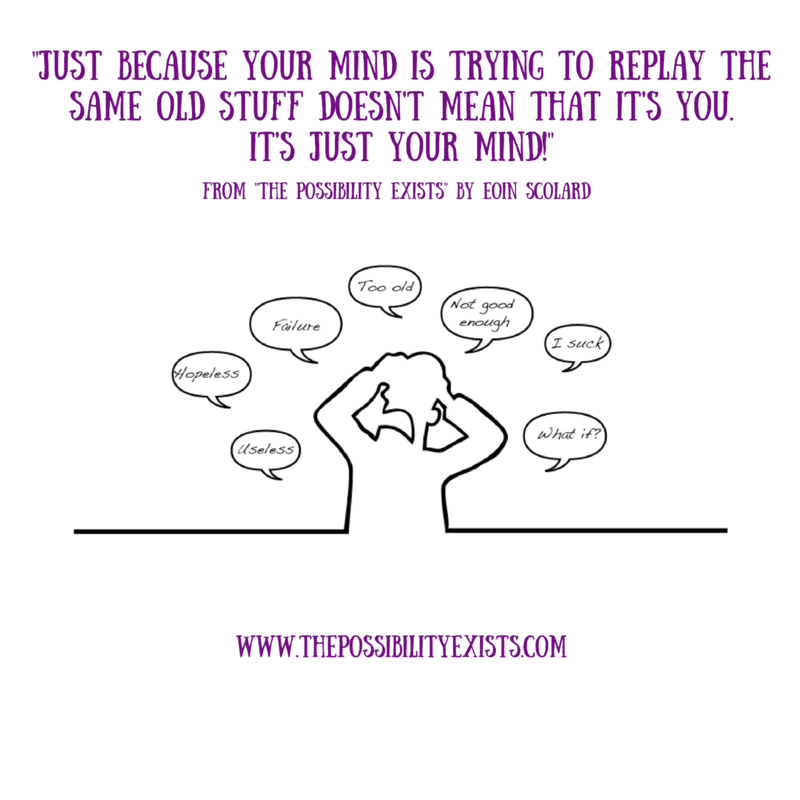 Just because your mind is trying to replay the same old stuff doesn’'t mean that it’s YOU. It’'s just your MIND. 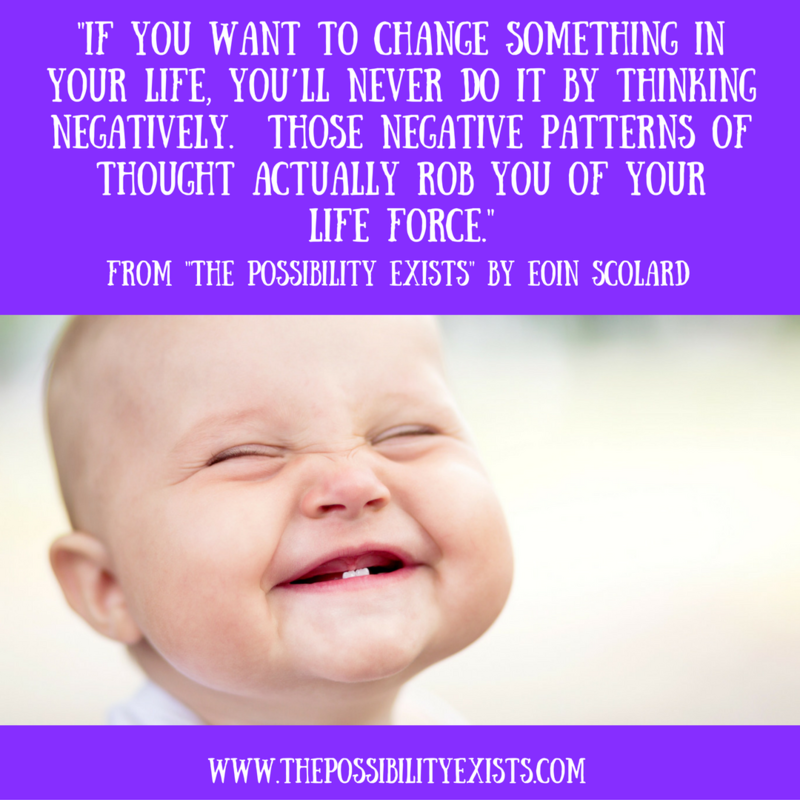 If you can recognizse that your mind is trying to recreate thoughts which reinforce your fears, negativity and so on, you've taken an important first step. There's now a part of you (your mind) that's trying to recreate the same thoughts –- and there's this other part of you that's aware of what's happening. Stay with the part that's aware. Breathe into it and get familiar with it. This will help you to dis-identify from your mind. Notice then that your mind will put pressure on you to come back into its grip. It wants your attention. Why? Because without ‘“you,’” your mind has no power. It will pull you back in with words like NEVER, ALWAYS, SHOULD or SHOULDN'T, CAN'T, MUST. But now you can notice the energy of these thoughts. 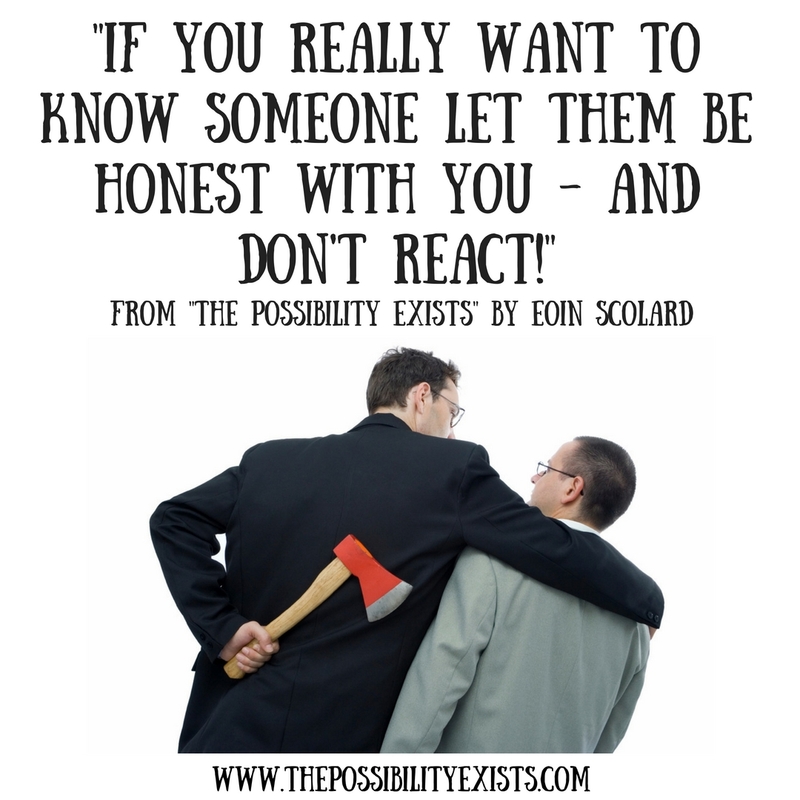 Notice how they want to make you feel powerless, fearful, stressed, defective or wrong in some way. 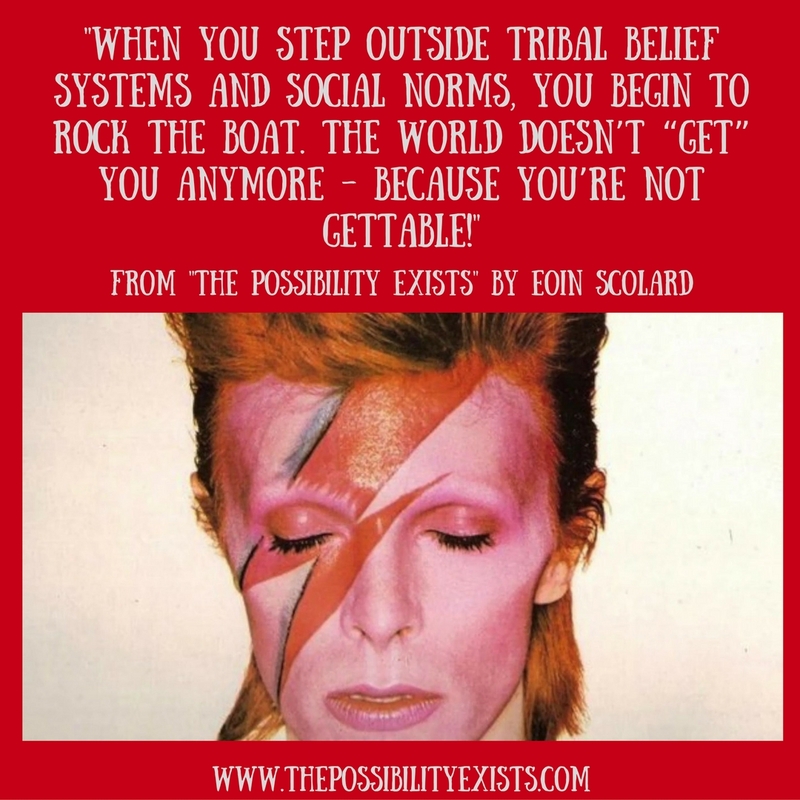 When you step outside tribal belief systems and social norms you begin to rock the boat. The world doesn’t ‘“get’” you anymore, because you’re not gettable! You don’t do drama. You don’t buy into the manipulation and power games within most relationships. You don’t buy into the way the world works, or rather the way the world doesn’t work! You’ve totally redefined who you are and that’s a very beautiful thing to do. You’re finally free to be you. It’s like you’ve finally come home, which is exactly how I felt during my near-death experience. 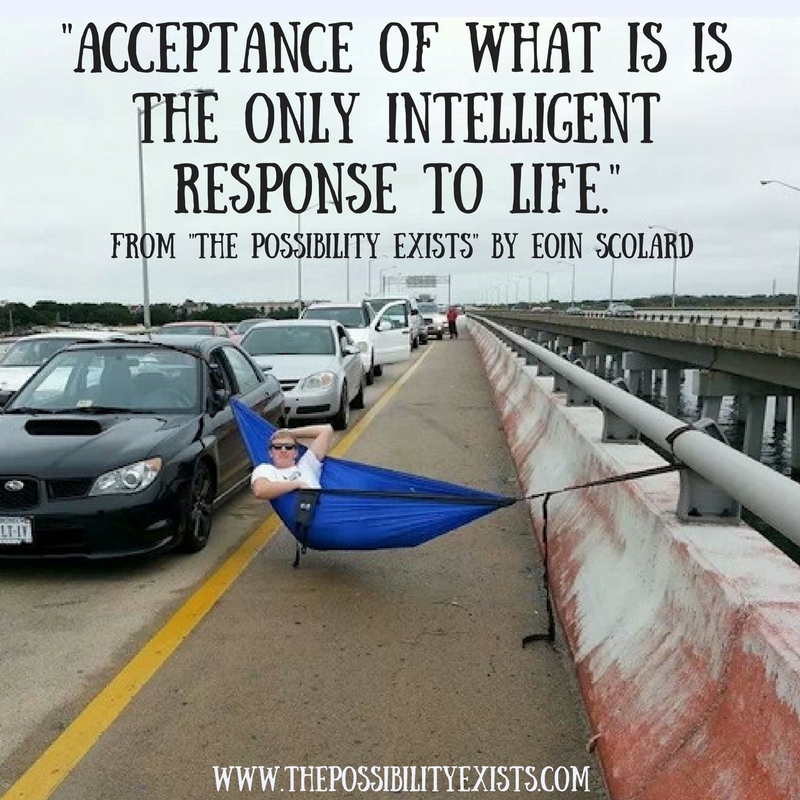 Acceptance of ‘WHAT IS’ is the only intelligent response to life. Resistance of WHAT IS could be classified as some form of insanity, but we can’t say that, can we, because we all do it. We seem to think that it’s quite normal to waste all our energy thinking we know how OTHERS should run their lives, and yet we stay desperately unhappy! HOW CRAZY IS THAT?